House of Commons Speaker Andrew Scheer says Conservative calls to Irwin Cotler's riding have not hampered the Liberal MP's ability to do his job. House of Commons Speaker Andrew Scheer says he has no power to deal with Conservative phone calls in Irwin Cotler's riding that falsely claim the Liberal MP is stepping down. Cotler raised the issue in the House of Commons last month, arguing that phone calls telling people in his riding that a by-election is imminent is a breach of his privilege as an MP. Cotler said his office traced the calls to Campaign Research, an Ontario-based market research firm with ties to the Conservative Party. Conservative MPs didn't deny being behind the calls, arguing that they are protected as free speech, and that they were just trying to identify potential voters. The next federal election is set for October, 2015. Cotler says it's wrong to use false and misleading information to try to win the riding, and that it interferes with his ability to do his job. The Conservatives covet the riding in part because it was once former Liberal prime minister Pierre Trudeau's riding. They fought a pitched battle in the lead-up to the last election on May 2, but Cotler beat Conservative candidate Saulie Zajdel. The government has since appointed Zajdel as an adviser. Municipal officials say he's met with them to talk about how they can get federal grants. Scheer says the strategy is "reprehensible" but outside his authority. He says he's entirely sympathetic to Cotler and that there's no doubt Cotler has been bombarded by calls and emails from confused constituents. But Scheer said he has difficulty concluding Cotler hasn't been able to carry out his parliamentary duties, and that that is the key issue in a question of privilege. "I can understand how [Cotler] and others are seeking relief from the climate of cynicism — not to say contempt — about parliamentary institutions and practice that seems to prevail. But I fear that such relief is not within my gift: the Speaker’s powers in these matters are limited, as my predecessors have repeatedly stated," he said. Scheer cited a ruling by Speaker John Fraser from almost exactly 20 years before. "'The chair can devise no strategy, however aggressive or interventionist, and can imagine no codification, however comprehensive or strict, that will as successfully protect the Canadian parliamentary traditions that we cherish as will each member’s sense of justice and fair play'," he said, quoting Fraser's Dec. 11, 1991 ruling. Cotler asked Scheer to reconsider, but Scheer declined, saying he had put a lot of thought into the ruling. Cotler said he presented reams of precedent and principle and that the Conservatives had none to support their argument. "Did the matter, the false and misleading calls, sow confusion in the minds of my electorate? They clearly did, we gave abundant evidence, (Scheer) really did not deal with this matter. I also dealt with this matter that caused damage to the reputation of Parliament as an institution. (Scheer) did not deal with that at all," he said. 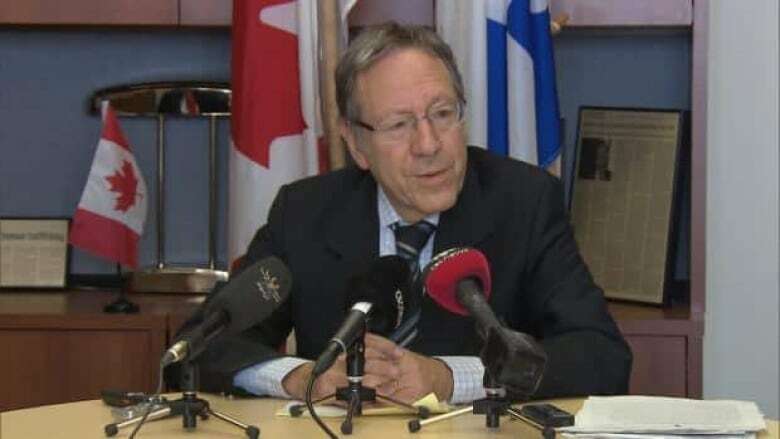 Despite what he sees as an attempt to undermine him, the 71-year-old Cotler said he still thinks politics is the highest form of public service. He referred to a trip to the House of Commons with his father when he was 12 years old. "My father turned to me and he said... 'son, this is vox populi. This is the voice of the people.' Today people might react cynically. I don't. I still think this is the voice of the people." Cotler says he hopes the Conservatives will "cease and desist" the practice they used in his riding.